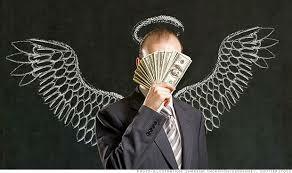 Angel investors are an increasingly important source of funding for startups and early stage businesses. Nearly 21% of business funding in the UK comes from this source and fills the funding gap between friends and family and the larger Venture Capital firms. Angel investors are experienced entrepreneurs who usually have developed and sold their businesses and want to help startups to develop like they did. 1. Sound business plan – there is no getting away from this and a solid business plan and business model will attract angel investors. Having achieved some sales will be a great help and ensure you have regular and transparent accounts. 2. Financial returns – like any investor they will want returns and only invest if they think that your business model will achieve those returns for them. 3. Experienced management team – similar to venture capital firms, angels will like to see an experienced management team. However, given their own experience of starting a business they will understand that sometimes it takes time to build a good team and they will help in funding such people. They will also have a great network that can be used to help the business. 4. Industry sector/special interest – most angel investors will want to put something back into the community and will have developed special interests or stick to industry sectors they know. 5. Passion – like all investors they will want see that the founder has a passion for what they want to achieve and this will be foremost in their minds when they first listen to your pitch. 6. Opportunity to be involved – one of the main reasons angels invest is to re-create the fun they had in developing their own business and they will want to be more involved in advising and guiding businesses they invest into. If the match up is right, take every opportunity to grab their time and contacts to help with your business, after all they have been through it before! 7. Share of the business – they will negotiate a share of your business and want a formal shareholders’ agreement. You may give up part of your equity but have a powerful ally when it comes to looking for funding at the next growth stage of your business. 8. Exit strategy – angels will want to see a clear exit strategy for your business so that they can achieve the returns in the long run. Ensure that this is clear and align your interests with theirs. Angels usually invest smaller sums and this can range from thousands to a few hundred thousand. They can also club together to raise more funds and there are many Angel investor clubs with an online presence. Most importantly, ensure that you can get on with the angel since you will be working closely together to achieve business success.